Thank you for reviving this!!! I love my Zelda 3DS XL so much it is getting me interesting in getting a Wii U soon. Thanks for the thread, I needed this! Since Mario Kart 8 came out on the U, I've barely touched my 3DS. Really need some good cheap games for it, and this thread helped me to do that, so I'm happy this thread is back. - Project X Zone was $9.99 at my local Target a few weeks ago. The tag still showed $19.99, though. Do you think OOT will come with case? Is that adventure time game any good? I like the CE Packaging but if the game is absolute shite I'll probably pass on it..
Gameplay is really slow. I tried to get into it but after like 2 hours I got bored with it. Mine did. No manual or points, though. Don't suppose anyone has Mario Tennis in stock near them? If so PM me I'd be interested in working out a deal. If I had to guess, I'd say yes. Walmart requires a case for all of their games when trading in. Mine came in a case as well, also no manual. Glad to hear you guys like the thread. Got busy with work and starting my own art line of buttons. But I am ready to scour the internet for the cheap deals. I'm also excited for the New 3ds. I'll be preorderibg it as soon as we get a NA announcement. Very sad that I missed OOT. That game is very hard to find a deal on. It's terrible imo. The first was highly enjoyable so it made this one even worse. Yeah, I wish they'd go ahead and put it out. Granted, that Ambassador thing is happening in the EU right now, so I would guess its actual EU and NA launch can't be that far away. Probably early Spring, if not sooner. I think the issue is that they aren't able to phase out PS3 and X360 yet. Last gen, they were able to quickly drop original Xbox stuff due to lack of continued support by MS. This is the first time MS and Sony have both continued to support two gens for a lengthy period of time (it's been a year and new games are still coming out on PS3 and X360). Add in the fact that GS is still carrying Wii stuff plus all the Skylanders, Infinity, and Amiibo figurines, and you can understand how they quickly run out of shelf space. K-Mart had them for $20 new. Don't know if the price still shows that online but a lot of people PM'ed that to BB or Target. Thanks for this thread. Just got a 3DS XL so eager for cheap games. It's not anymore, that was the 1st place I looked! Probably missed it by a few days too. Nintendo rarely overprints their games so there is no over abundance of their games. Plus people generally keep Nintendo games. You just have to be patient and check this thread frequently. 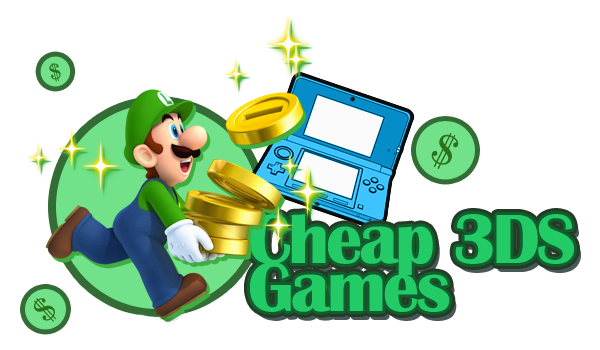 Best Buy puts 3ds games on sale frequently. And Target had good sales with the $1 preorder cards last year. Also check the Amazon Warehouse Thread for used games. I also forgot to mention the Gamefly used sales. You can find good deals there. Not sure if this belongs here or not, but Target and Amazon both have Monster Hunter 4 Ultimate pre-orders for $29.99, and I think the MSRP is $39.99 (at least according to BB, Amazon, and Gamestop). Edit: I see there is already a thread about that deal, carry on.